pro clima were founded in 1981 and are now active in over 20 countries. pro clima products are manufactured according to the highest quality standards of Europe and solely distributed in Ireland and the UK by Ecological Building Systems Ltd, working with a network of trained stockists. 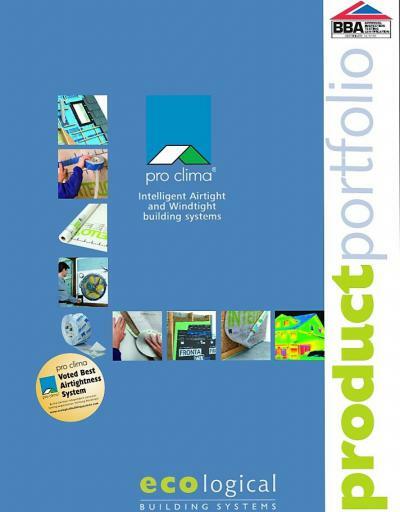 Click above to download our pro clima product portfolio for an overview of the full range with comprehensive guidance on airtightness & windtightness. What are the Benefits of Component Certification? 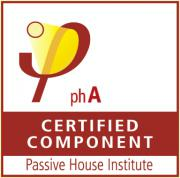 Passive House Standard is characterised by very high energy savings compared with conventional new builds. This is achieved by means of highly efficient building systems, careful planning and highly efficient components. 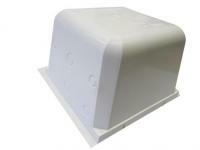 As a rule, these components are two to three times more efficient than the corresponding commonly used products. This high level of efficiency is critical to achieving the Passive House Standard. However, for the designer, it is often very difficult to assess the energy-efficiency, durability and the necessary energy parameters of a component as the available standard parameters are frequently unrealistic or are not accurate enough; reliable project planning using manufacturers’ information alone is often not possible.